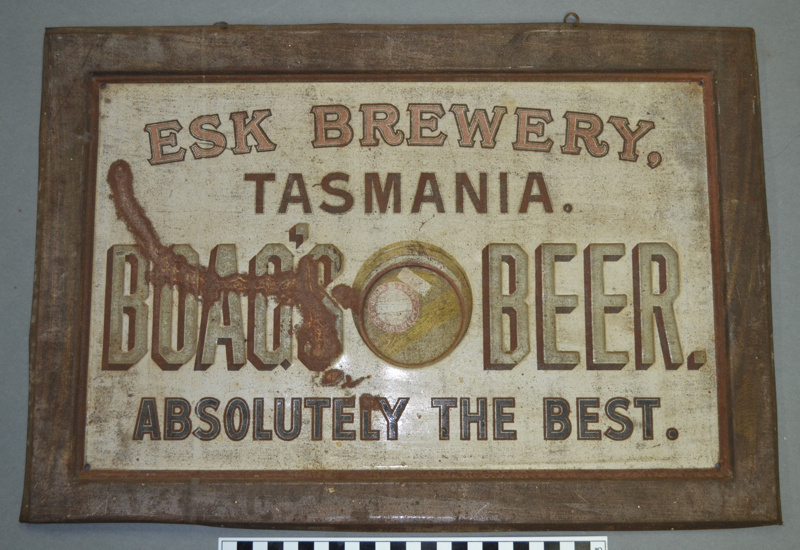 Embossed and painted tin advertising sign for Boag's Beer. 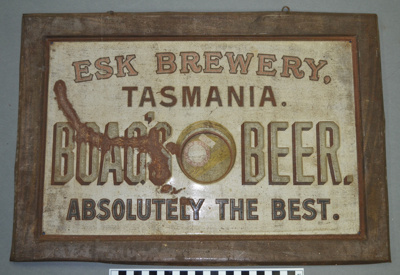 The sign is rectanglular with an embossed frame and the text 'Esk Brewery / Tasmania / Boag's Beer / absolutely the best' and an image of a beer barrel labelled 'J. Boag & Son / Esk Brewery'. There are two eyelets on the top edge for hanging.